This is a digital bulletin board for exemplary work from this class! Enjoy!! 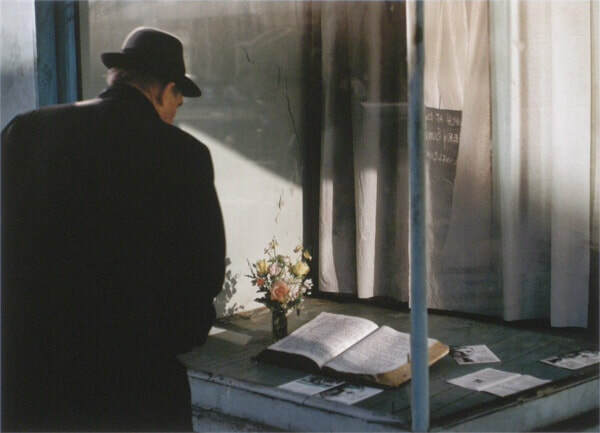 After a "gallery walk" through Fred Herzog's collection of Vancouver street photography (circa 1950's-60's), students selected a photograph for the basis of their short story, focusing on the characterization of the subject. The kids ran energetically around me, giggling with glee. Screaming and crying, I tried to get the kids under control. The rain water drizzled down the asphalt road, spiraling into the drain. The sun shone [brightly] over the top of the small town, blanketing everyone in warmth and sweet air. The sun scalded everyone from the sky, drenching them in sweat and encasing them in suffocating humidity. I felt a sense of guilt overwhelming me, as I "[shove food] into my mouth [into] someone I am trying to save" (Lau 28-29). The architecture of the Ice Palace is quite simple, being made without "opal gelatin that glows like phosphorescent deep-sea fish" (Atwood 8-9). Sometimes, things can be too good to be true. Some things can sway between a paradise and a dark hell. Most of the time, it is a trap with beauty only paper thin, like "clouds of breath formed into words" (Atwood 12-13). We should be cautious of things that tempt us. The Ice Palace may seem magnificent on the outside, but to uncover the truth you must dig deeper since "[b]ackstage it's always carnage" (Atwood 26). Some may find creative writing to be a daunting task but ideas are "all within you" (Margoshes 3). When finding a new idea, it may feel like an "epiphan[y]/flashing like [a] light bulb above the head" (14-15). Student exemplar - not too bad for a first synthesis! Synthesis writing is probably the most difficult skill you are going to master in English 11 Honours. I was blown away by the mature ideas and deft, sophisticated writing style of the students whose work is attached below. Yes I read these logs, in case you were wondering! I've marked out out of 6 for completion and effort. Reading Log Pros of Term One: Your outstanding work ethic is greatly appreciated! It is never easy to write anything under a time crunch. The following students have successfully written insightful, organized synthesis essays in the allotted 80 minutes.